This post was to be about a trip I just made to St. Petersburg to talk to students and fellow journalists about reporting climate change. Instead, I am shocked and saddened to be writing of the apparent loss of one of the people whose work featured prominently in my talks there. Polar explorer and researcher Marc Cornelissen, who led our Alaskan Arctic expedition in 2008, the first to be documented on the fledgling “Ice Blog”, disappeared in the Canadian Arctic this week and is presumed drowned after breaking through unseasonably thin ice. In workshops and discussion panels in St. Petersburg, I found myself recounting, as I often seem to do, some of my experiences during that trip. This was the expedition which strengthened my conviction that reporting on climate change in the polar regions and its relevance for the whole world had to be a main focus of my work in coming years. I have been in the Arctic many times, but somehow that trip seems to be the one I always come back to. 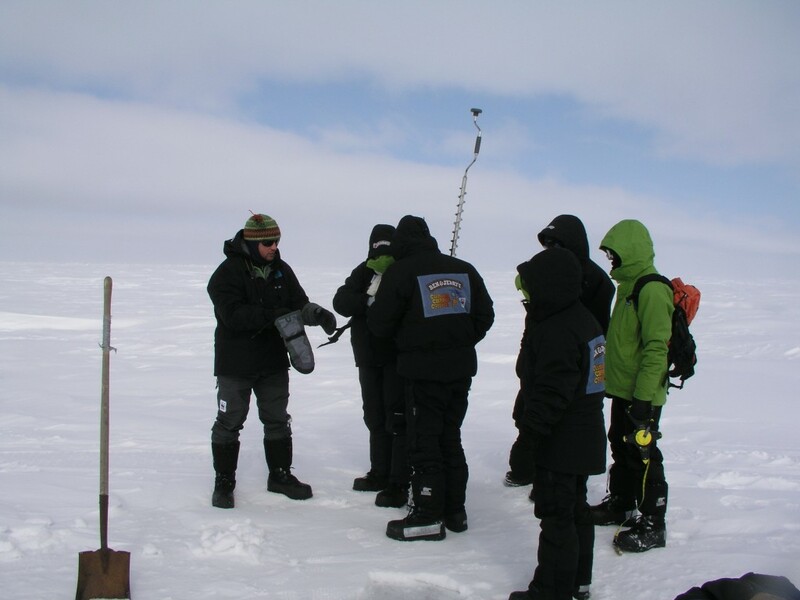 Dutch polar explorer and researcher Cornelissen was taking a group of young Europeans to Arctic Alaska, to find out how scientists measure sea ice thickness and other parameters – and how climate change was affecting the local indigenous population. 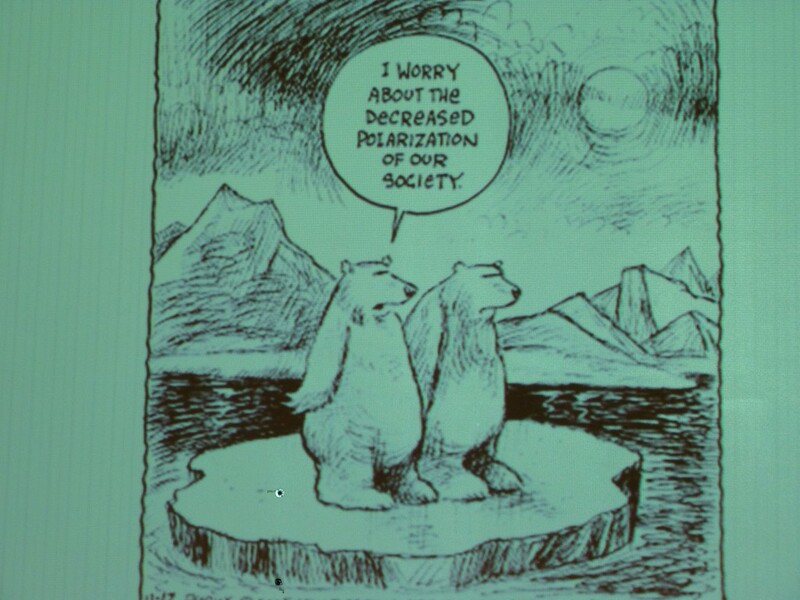 In a talk last week, while I told students and environment journalists in St. Petersburg how that group of young Europeans found out about climate change first-hand during the “Climate Change College” project, I was unaware that the charismatic leader of that trip would not be returning from his latest Arctic expedition. Back in Germany I opened my Ipad one morning this week to find urgent messages from two friends I first met during that Alaskan trip – one in the USA, one in Europe – telling me Marc and his colleague Philip de Roo had gone missing on their latest climate fact-finding mission in the Canadian High Arctic. Since then, the search and rescue operation has been called off, the two researchers presumed drowned. 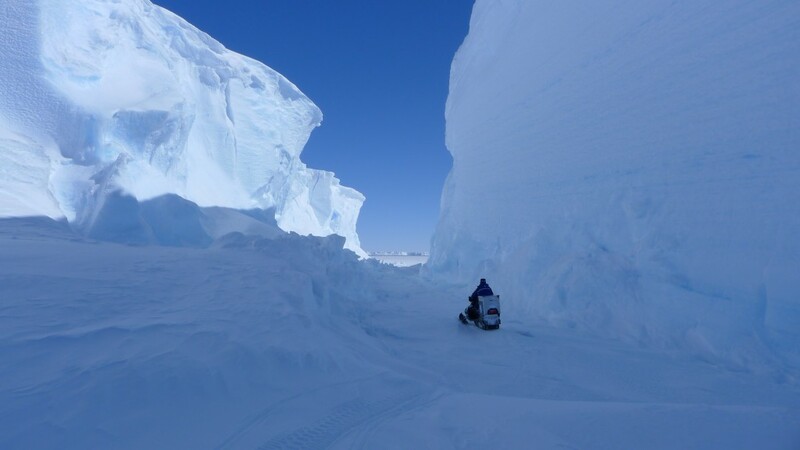 Marc, founder of the organisation Cold Facts, which supports scientific research in polar areas, was travelling on skis with his colleague, for a mission called the “Last Ice Survey“. That title was to become tragically apt in a way they had not anticipated. 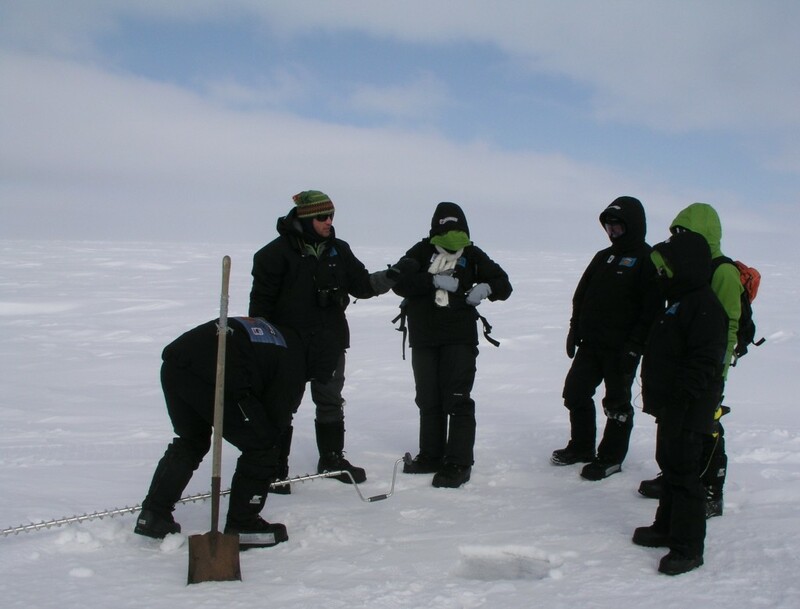 The two were measuring the thickness of the ice in the “Last Ice Area”,, which is thought to be the place where summer sea ice will continue longest as climate change progresses. In his last audio message, sent on April 28th, Marc Cornelissen, always with a great sense of humour, recounts how the weather had been so hot he had to ski in his underpants. He talks of thin ice ahead, and of the likely need to alter course to avoid it. “We think we see thin ice in front of us, which is quite interesting, and we’re going to research some of that if we can”, Marc said in the last voice mail. Tragically, it seems that research was to prove fatal for the two curious travellers. 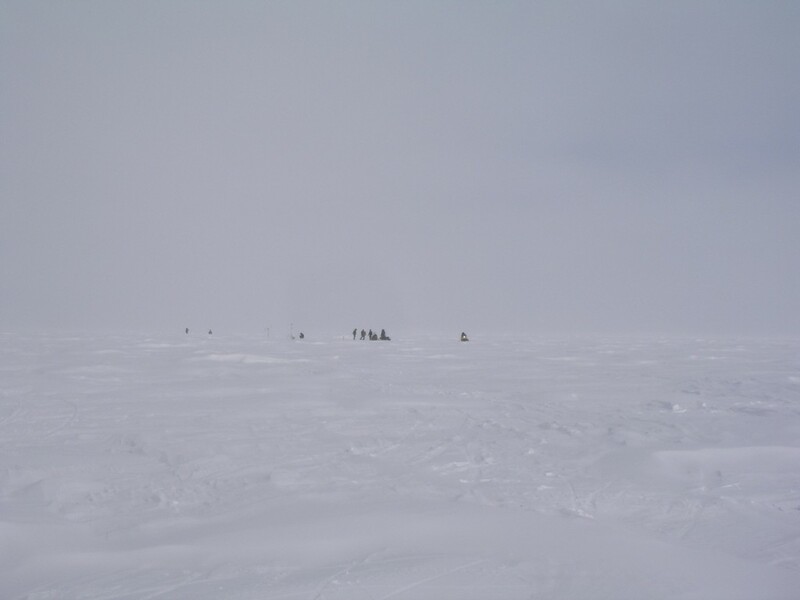 Next day the Royal Canadian Mounted Police in Resolute Bay was alerted by a distress signal from the pair, approximately 200 kilometres soiuth of Bathurst Island. The search aircraft sighted one of their sleds, partly unpacked, on the ice with their sled dog, close to a hole in the ice. The other sled was in the water with various bits of equipment.The search and rescue venture was eventually abandoned. The dog has been rescued, but the operation to locate Marc, Philip and their equipment and bring it home, has been halted by bad weather. 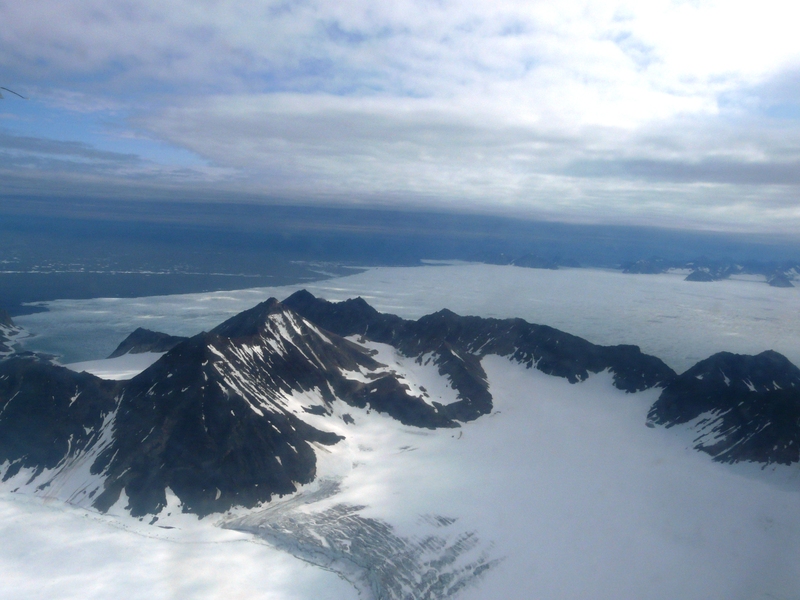 The remote, cold, Arctic is a risky place to travel at the best of times. Cornelissen and de Roo were experienced polar explorers. They knew the risks. What they presumably did not know, was just how thin that “last ice” had become. 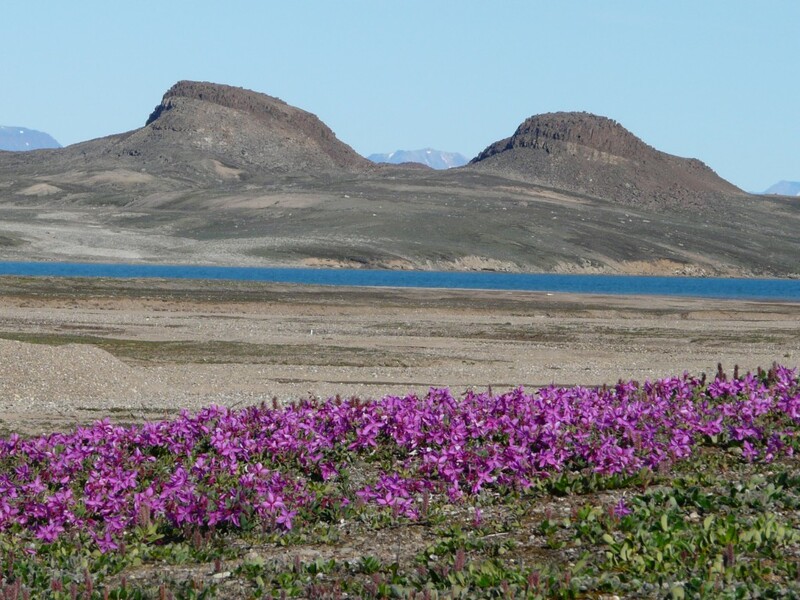 Climate change is affecting the Arctic faster than any other area of the world. That was the message behind the work of the two researchers . Perhaps it was changing faster than they could have imagined. I am deeply moved by the loss of these two talented and committed fellow Arctic-enthusiasts, who would still have had so much to offer the world. How ironic that the rapid ice melt they were out to document was, it seems, to claim their lives. How sad if these two had to die to underline the point. 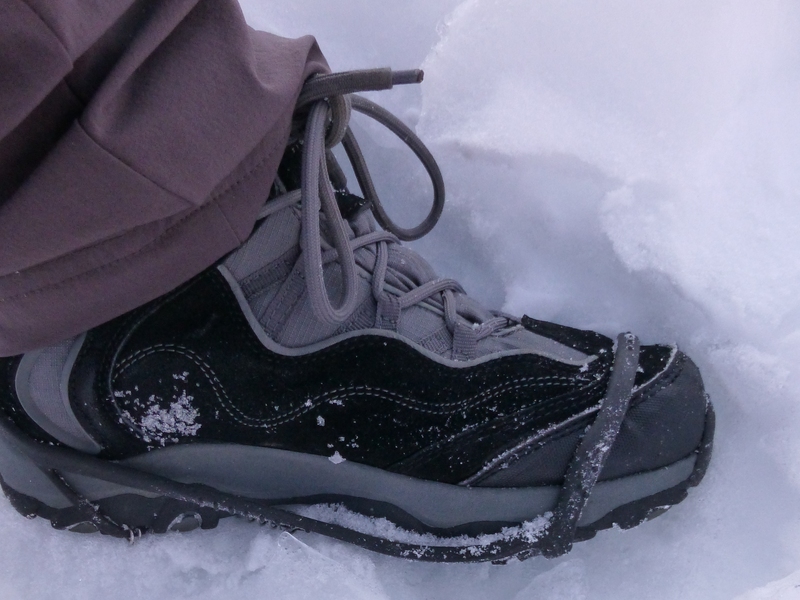 A year and a half ago, I narrowly escaped with my life when I slipped off an icy mountain ledge in the alps. Since then, I have been more keenly aware than ever of that ambivalent nature of ice – the attraction of its beauty and the unpredictable dangers. I remember the feeling “this cannot be happening to me”, as I thought the ice I loved was throwing me to my death. I am somehow haunted by images of what Marc and Philip might have sensed in those final, precarious moments in their beloved Arctic. Marc Cornelissen was a charismatic character, full of stories and enthusiasm for the polar regions. I remember how we laughed as he told us the tale of the “polar bear that caught me with my pants down”, during one of his expeditions. But humour and positive outlook never detracted from his concern for the safety and well-being of his charges, as he guided them onto the sea ice or frozen Arctic lakes. Cornelissen was also a motivating guide and mentor to many who have gone on to make their professions in the fields of climate, environment and sustainability. He also had an unerring sense of the issues that would emerge ever larger in the polar climate debate in the years to come: sea ice melt, coastal erosion, melting permafrost, methane emissions. Why is it I always come back to that particular Arctic trip? 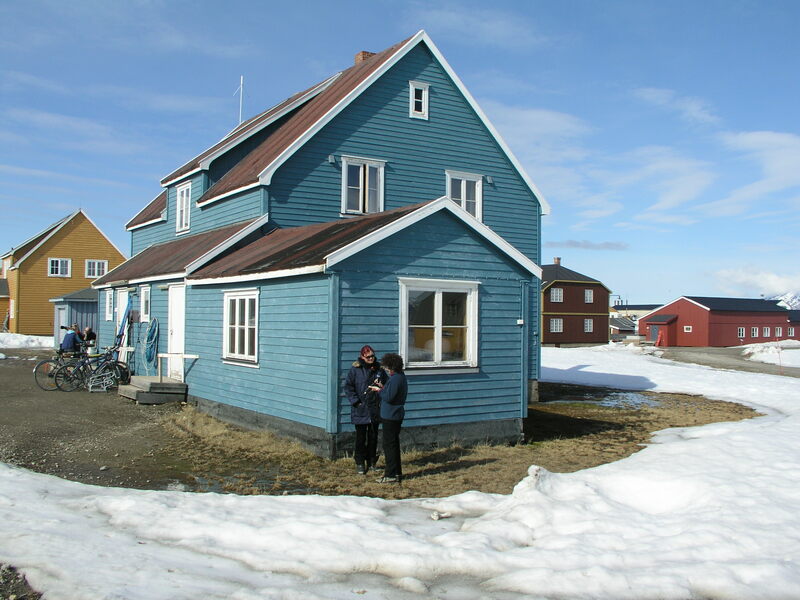 It is partly because it was an encounter between commited, idealistic, prosperous young Europeans, with their first climate-saving projects already in the bag, and the “locals” of Barrow, the northernmost – and so very different – settlement in the USA. These were a mixture of Inupiat traditional whale-hunters, who depended on stable sea ice to hunt – and oil workers, who owed their livelihood to the fossil fuels which are helping to melt it. 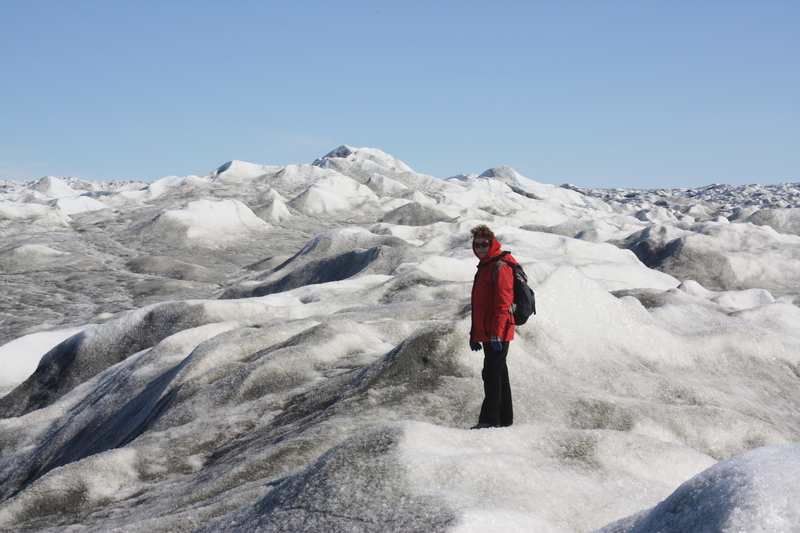 “Everything is connected” was the conclusion that dawned on the young Danish member of the group, as we stood by a visitors’ centre to look at glaciers further south – which had retreated so far, they were no longer visible from that point. Irish “climate ambassador” Cara Augustenborg, posted her own moving tribute to Cornelissen earlier this week. The network that was born during that Alaskan trip is still thriving. 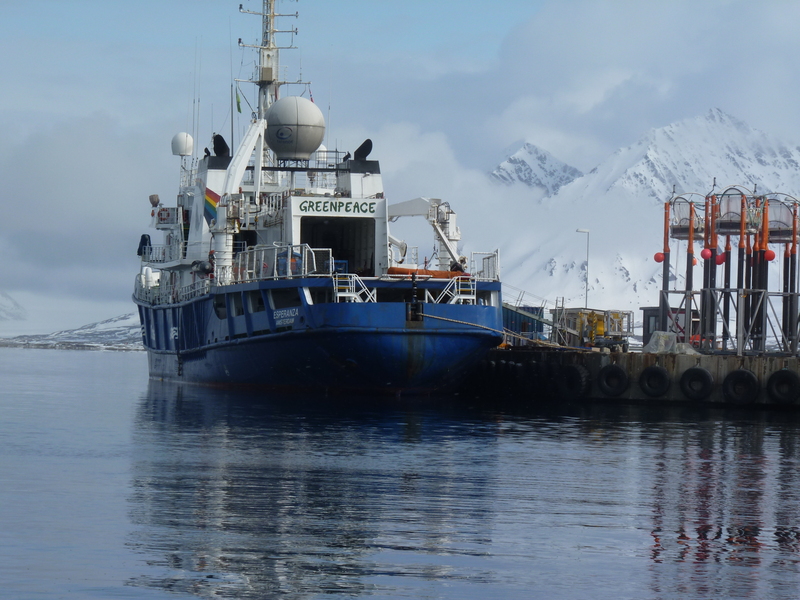 The climate ambassadors have gone on to make their ways and play their parts in the effort to understand the workings of the planet and create a low-carbon future. For all that, you need inspiring leaders, and people who are not afraid to take on the risks of the remote, icy, unpredictable and rapidly changing Arctic. In the last personal message I got from Marc Cornelissen, he had been looking at the Ice Blog and said how pleased he was that I had “stayed with the Arctic”. Me too, Marc. And I am sorry I will never be able to interview him on what seems to have been his final expedition to the “Last Ice”. 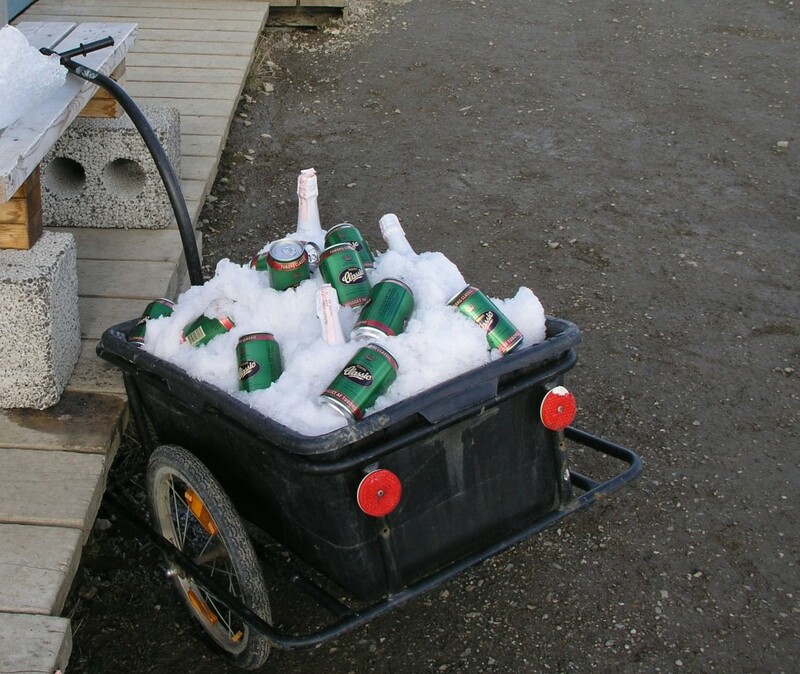 No shortage of icy issues…. Returning after a longish break with little access to news and data, there are several ice and snow stories jumping out of my mailbox at me. I’ve picked out two which those of a skeptical persuasion might say disprove some key climate assumptions, but which actually, in fact, confirm some trends and predictions. Worrying, but not unexpected, are the latest measurements of the extent of the Arctic sea ice. 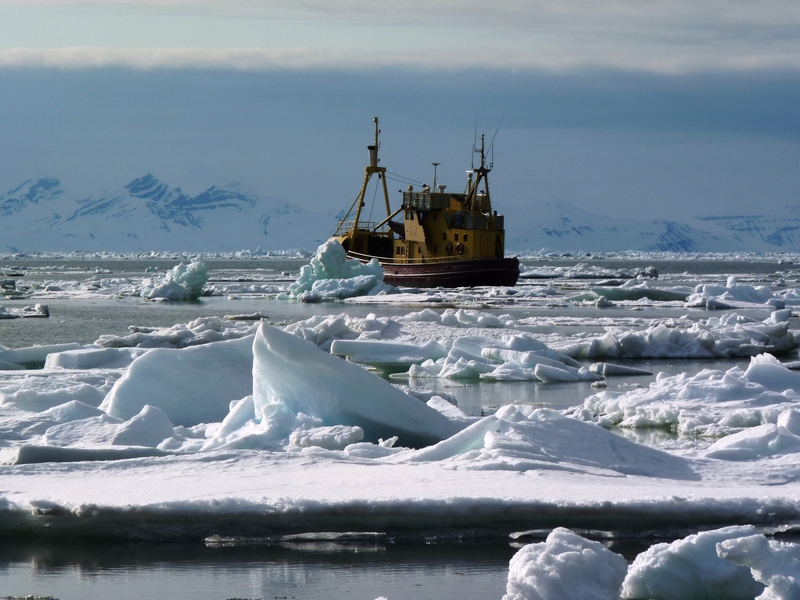 In February, the experts at the National Snow and Ice Data Center (NSIDC) based in Boulder, Colorado, noted a record for the lowest observed maximum sea ice extent. Although it seems the sea ice did grow at some points during March, the overall for the month was the lowest recorded since satellite measurements began in 1979. The average extent for the month was 14.39 million square km – some 1.13 million square km below the 1981-2010 long-term average. The previous March low of 14.45 million square km was recorded in 2006. 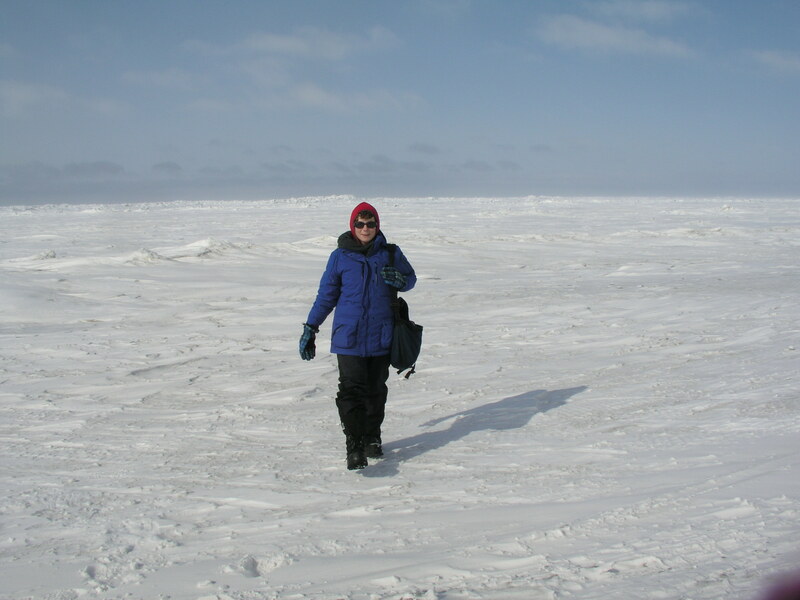 In the Arctic Journal, Kevin McGwin quotes Andy Mahoney, a geophycisist with the Sea Ice Group at the University of Alaska Fairbanks, as saying the irregular pattern, with a kind of “double dip”, with the ice decreasing, increasing, then decreasing again, is “a pretty unusual event, regardless of the reason”. 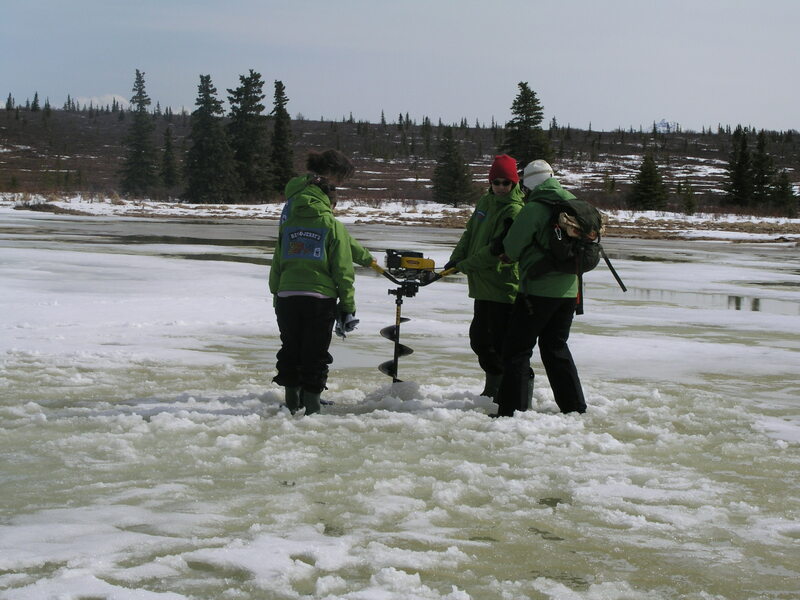 Normally, the ice levels would increase to the seasonal maximum first in March, then decline. 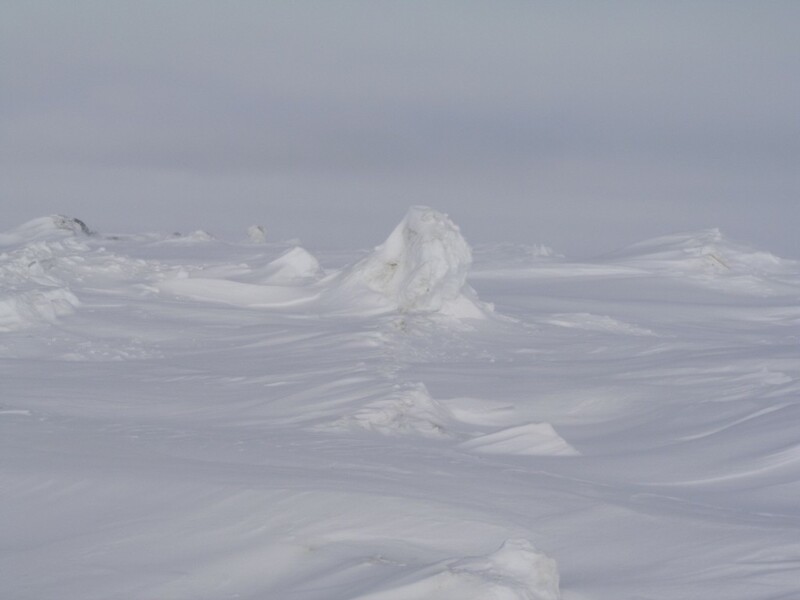 One reason, Mahoney says, could be the wind blowing ice into the regions where ice growth was observed, according to the NDSIC the Bering Sea, Davis Strait and around Labrador. 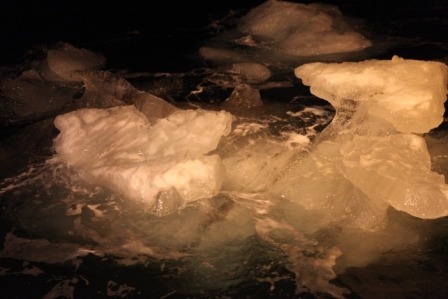 The NSDIC says warm conditions in the Bering Sea and the Russian Sea of Okhotsk contributed to the record low winter ice maximum. The overall downward trajectory, however, is clear. The brief increase in March is not a sign that the sea ice is recovering. Mahoney told the Arctic Journal parts of Alaska had seen abnormally high temperatures this winter, which was in line with the overall seasonal ice observations. “What drives the maximum extent is what happens at the margins, and they can grow and retreat due to short-term variants. 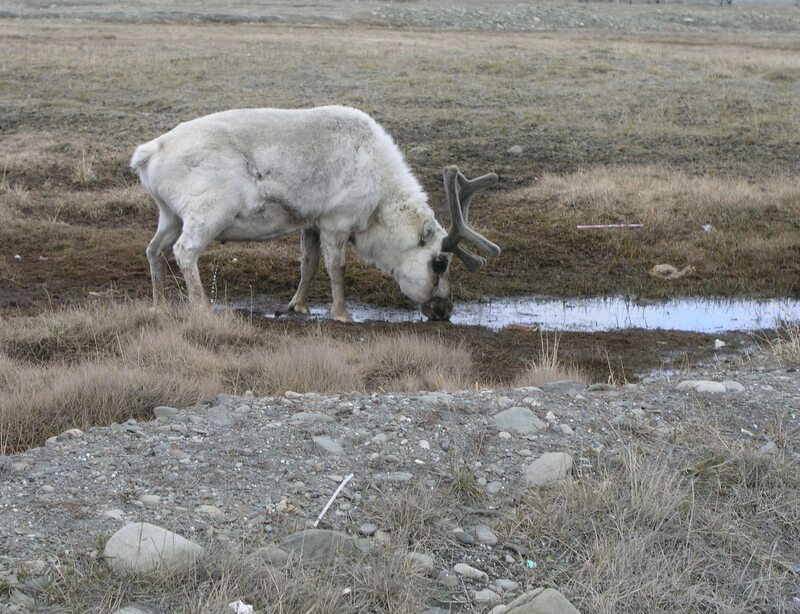 The conditions in the central Arctic, far from the action, are indicative of the warm year we’ve had in Alaska,” he said. 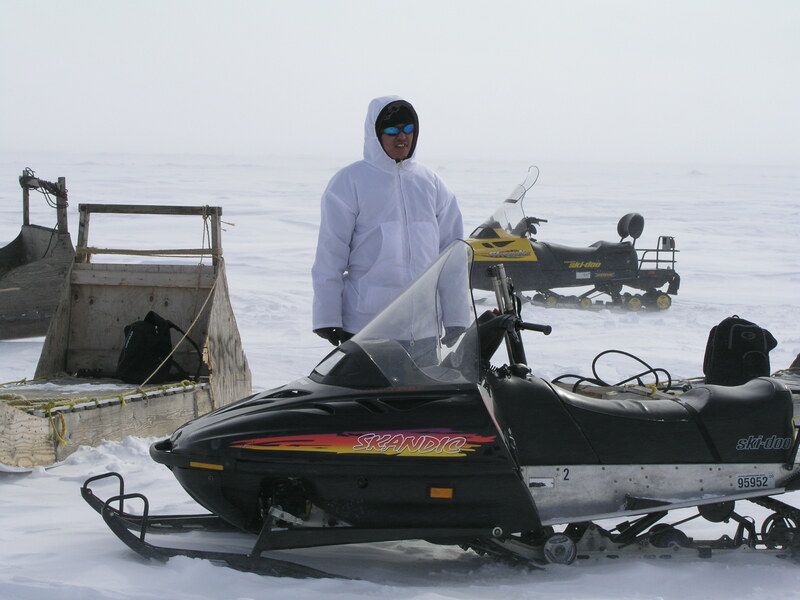 Barrow, on Alaska’s northern coast, far away from the southern margin, for example, saw a lot of broken ice this winter, according to Maloney. “This is not a record to be proud of. 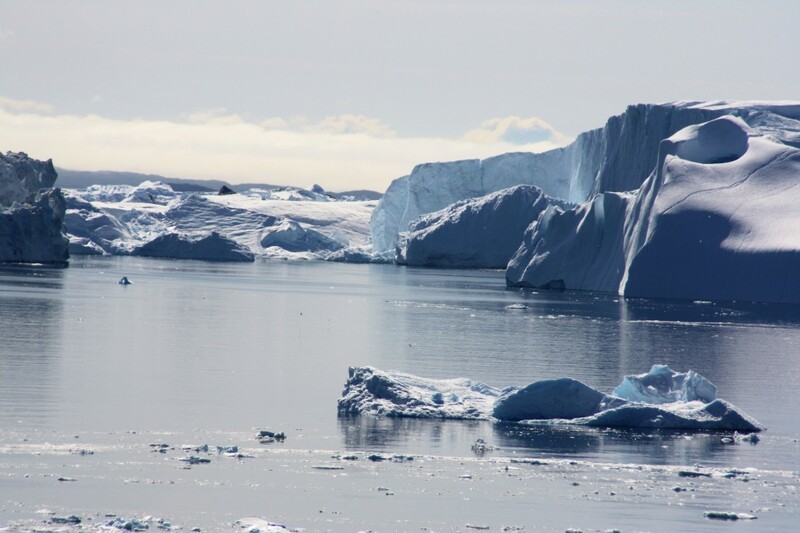 Low sea ice can create a series of reactions that further threaten the Arctic and the rest of the globe,” said Alexander Shestakov, Director, WWF Global Arctic Programme. 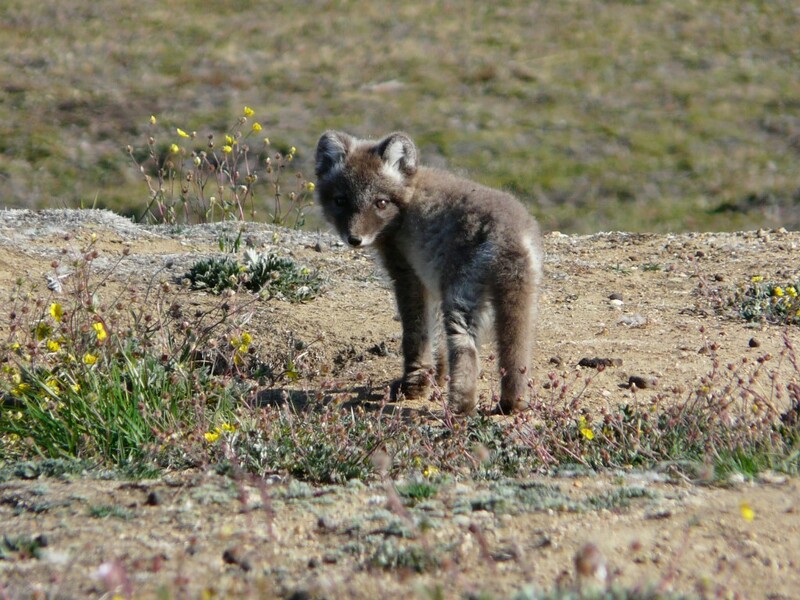 “This chilling news from the Arctic should be a wakeup call for all of us,” said Samantha Smith, the leader of WWF’s Global Climate and Energy Initiative. 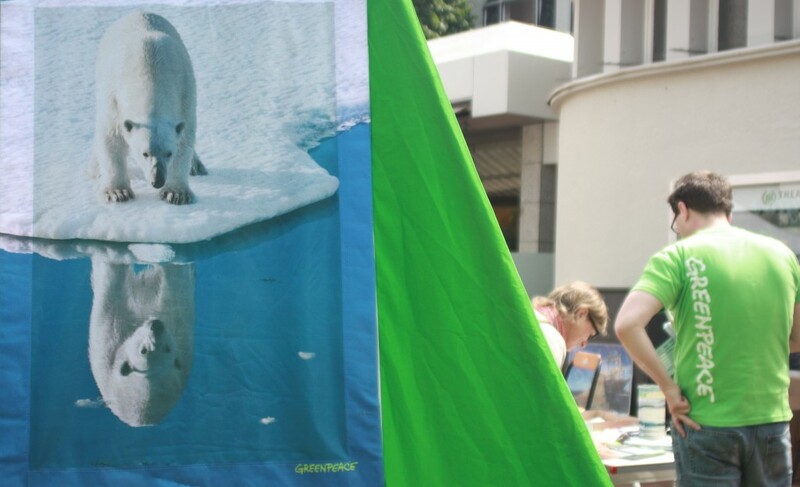 She stresses the need to cut global emissions to halt the Arctic melt. The proportion of thick Arctic ice that lasts multiple years has dwindled over the past two decades. A recent study shows that Arctic sea ice has thinned by 65 per cent since 1975, leaving ice that is more susceptible to melting. 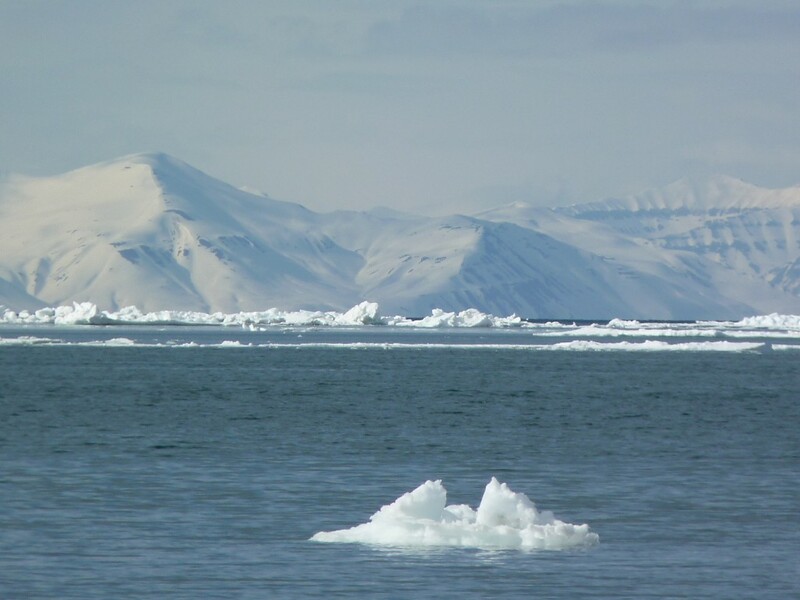 Writing for Alaska Dispatch News (AND), Yereth Rosen notes that the most dramatic changes in the Arctic sea ice extent have been in the melt season, not in the period of maximum winter coverage. 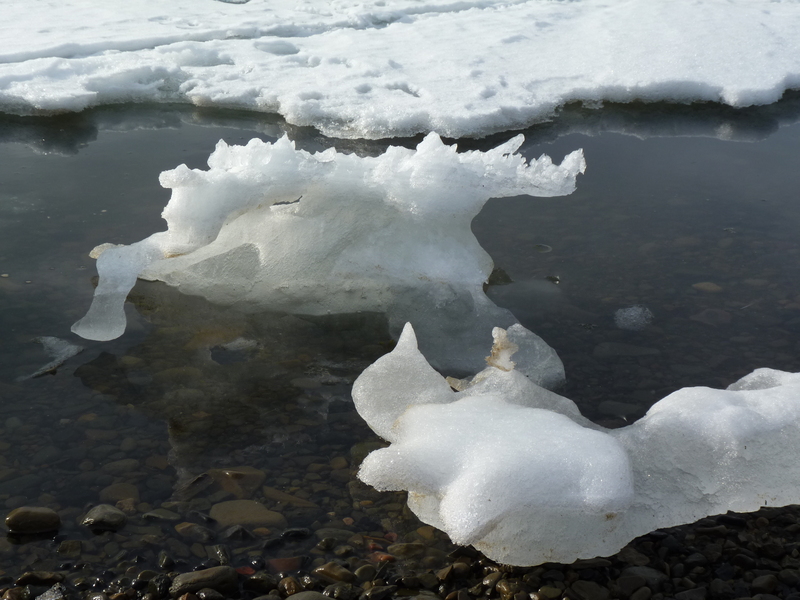 He quotes NSIDC scientist Julienne Strove, who led a study published last year in Geophysical Research Letters which showed the open-water season is lengthening, mostly because of extended melt in summer and autumn. So is this additional winter record a sign of more melting to come? Only time will tell, but the signs are not looking good. Warmer temperatures, more snow? 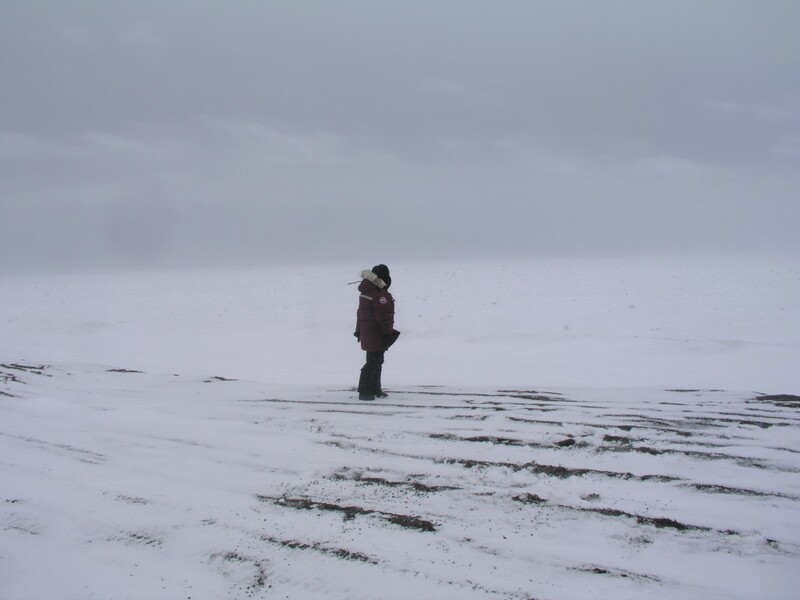 Belgian International Polar Foundation shot of director and explorer Alain Hubert in the Antarctic. A story from the opposite pole has also attracted attention. 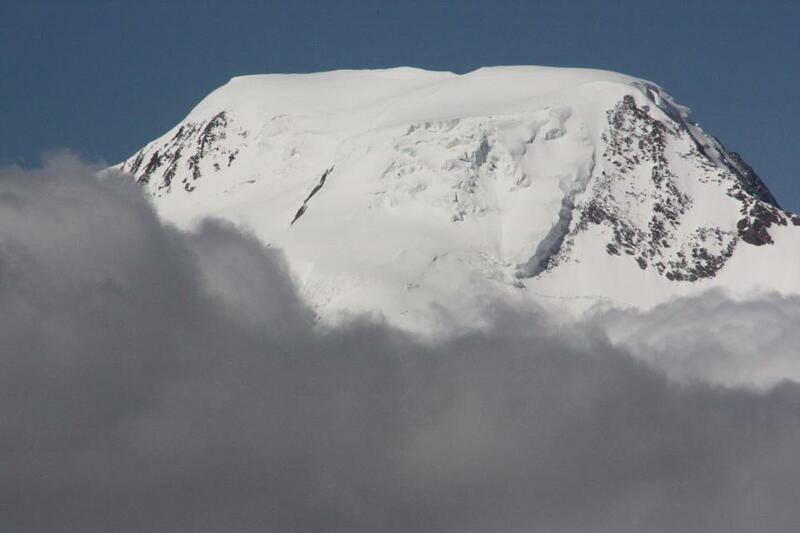 It says climate change is actually increasing the amount of snow in the Antarctic. Puzzling? Not necessarily. An international study headed by Germany’s Potsdam Institute for Climate Impact research (PIK) comes to the conclusion that every degree of regional warming could increase snowfall there by around five percent. 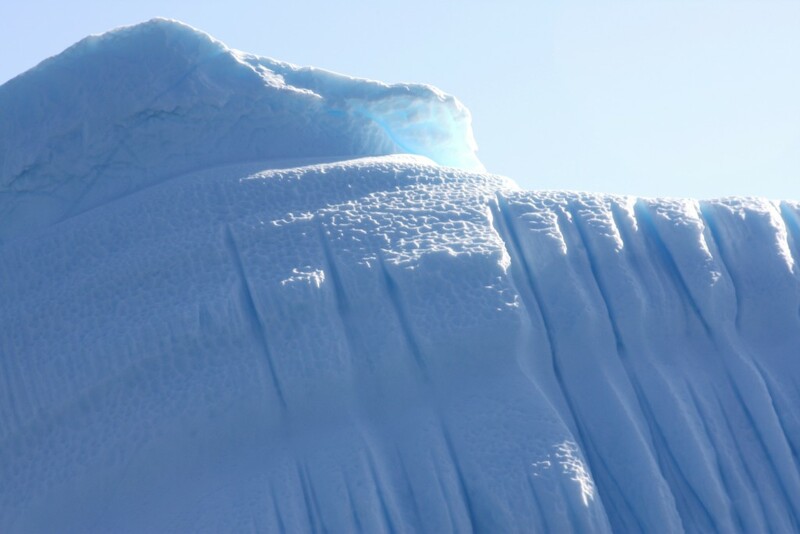 The estimate is based on ice cores and climate modeling. Anders Levermann, one of the new study authors, whom I have spoken to several times on the effects of climate change on the Antarctic and global sea levels, says the latest results back up earlier conclusions that the Antarctic will lose more ice than it will gain and thus have a major influence on global sea level. Levermann, from PIK, is also one of the lead authors of the sea-level chapter of the IPCC report. 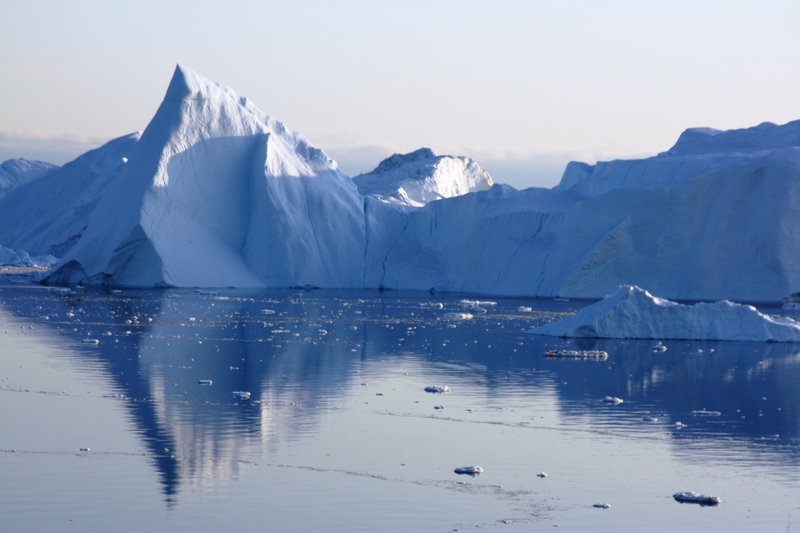 He stresses that the latest study just provides yet another piece of the “jigsaw puzzle” coming together on how global sea level is likely to develop in the future. If the world leaders called on to come up with a new world climate agreement at the end of this year need any more motivation, this scientific research from both ends of the world should really give them an extra push.